Celebrities who publish their photos without makeup, or go to the public without cosmetics – immediately arouse interest and discussion. There are both critics and well-wishers. 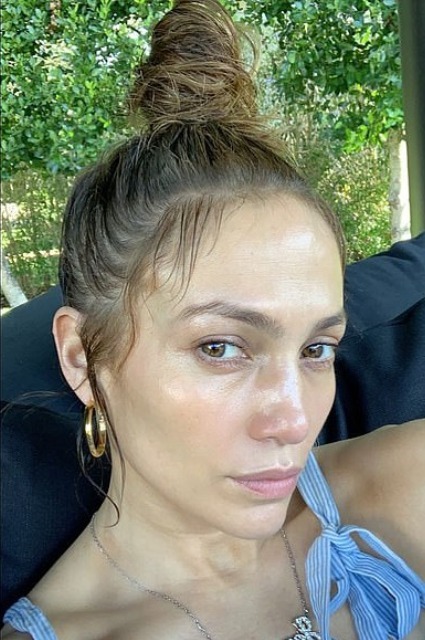 But the 49-year-old Jennifer Lopez does not stop the fact that she can be criticized, because she recently published a snapshot on Instagram, where there is no gram of makeup. The star noted that she loves herself the way she is and does not deny herself days without makeup, where there is only a place for relaxation. Fans of the actress for the most part wrote that they like Jennifer Lopez and with cosmetics, and without. And without makeup, she looks very fresh and you can’t say that Lopez is 49 years old. By the way, 49 years old Lopez said recently. The star spent her birthday in her house with the closest ones, among whom was her fiance.